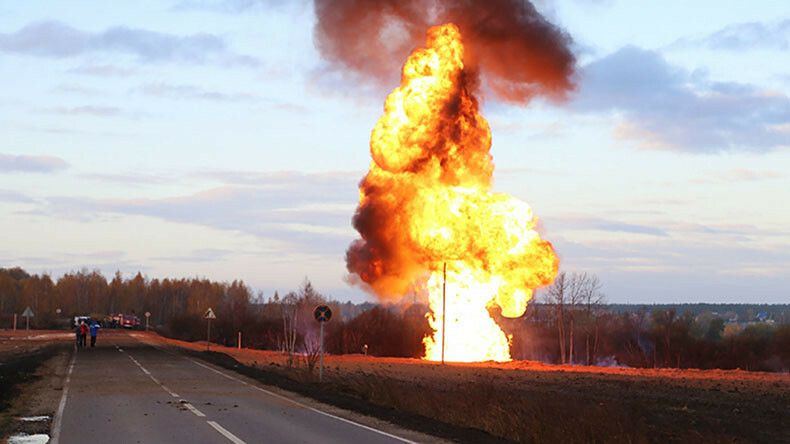 Residents of the Moscow area woke early to a gas pipeline fire, local emergency services said. Numerous videos have been posted on social media of spectacular flames shooting up into the morning sky. The incident took place in the town of Lukhovitsy in the Moscow region, some 135 km southeast of the capital on Friday morning, emergency services said, as cited by TASS. “The gas service has closed the site,” an emergency services official said, adding that firefighters are currently working in the area. No one was killed or injured by the blaze, the official added. A crack in the pipeline might have caused the incident, an emergency services source told TASS, citing preliminary information. Later on Friday an official from the emergency services told TASS that the firefighters had extinguished the blaze.